There are so many amazing benefits to living in Hong Kong – the incredibly diverse community you become part of, the low income tax you enjoy, being in the heart of Asia to travel – ah, the list goes on. Part of that list is how easy it is to start a business in Hong Kong and to join the city’s thriving start-up community. a new business abroad may sound scary but Hong Kong is actually a great place to get things started. Many expats come here with their big-company jobs, only to then dive into entrepreneurial waters. There’s also a huge community of trailing spouses who have built incredible businesses here. What makes it such a great option? Hong Kong works hard to attract businesses – big and small – and to be the centre of business in Asia. For many companies, the city’s role as a super-connector to China and the innovations hub in the Greater Bay Area gives it an enormous edge. The government has also made operating a business here very user-friendly. In fact, Hong Kong is ranked fourth globally in the “ease of doing business” rankings. The city offers low corporate taxes and even some tax breaks, with a great reputation for supporting SMEs. The government has many support initiatives for businesses, too. These include small business resources on the Hong Kong Trade and Development Council website, SME trade and industry schemes, and even tech incubators housed out at the city’s technology park. In fact, the tech incubators have raised HK$4,100 million in angel/venture capital, and four IPOs have already launched out of the system. Equally important is the bigger picture of the city’s role within China and all the opportunities that come with this. Hong Kong is the gateway to China, and very well situated to the rest of the region’s most important economies and emerging markets. We are an accessible flight to India, Indonesia, Vietnam and Japan among others. 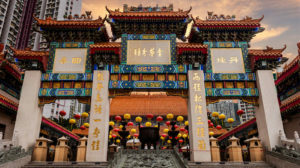 Traditionally, Hong Kong has played a role for brands entering China and manufacturing there. Today, its role as a connector for local Chinese brands to meet their global aspirations is just as important and exciting. Have we sold you on starting a business yet? One of our favourite parts about starting your own business is that, depending on what it is, it can also move with you if your family relocates. The possibilities are only as limited as your imagination. From designer jewellery to luxury car rental, there’s a business out there for everyone. Feeling inspired to take the first step? Learn more about the ins and outs of opening a Hong Kong subsidiary. Want to learn about other places you may not have considered for potentially setting up a business? Read more about what it’s like to open a business in Singapore.